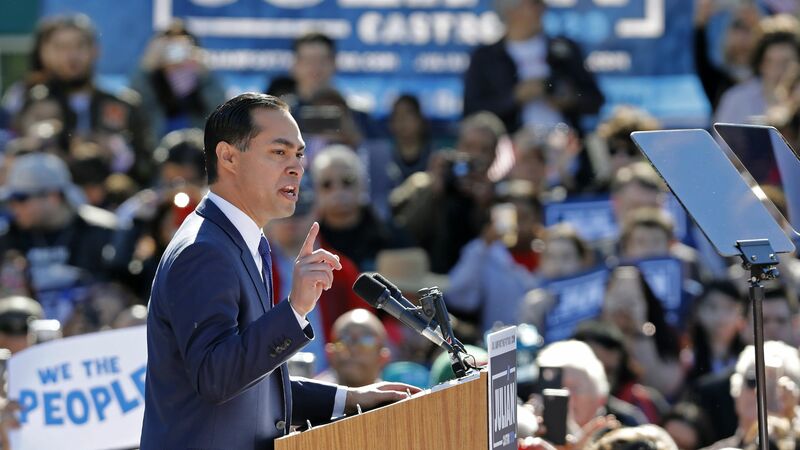 Hours after President Trump said during a visit to San Antonio he'd "have to call up more military" at the southern border Wednesday, 2020 Democratic hopeful Julián Castro at a rally in the city called the administration's immigration policies an "absolute failure." Details: Trump made the comments before a closed-door fundraising dinner. Castro said at a rally later "we choose compassion over cruelty," according to the Texas Tribune. "I see my grandmother in the faces of the little children separated from their parents," he said. Castro has struggled to make an impact in a crowded Democratic field and has yet to reach 65,000 donors — a qualification requirement for the first Democratic debates.